I grew up in Tirol, in a small village called Strengen. After finishing school, I started to work in the hospital of Bludenz as radiology technical assistant. I decided to build my life around climbing in 2011. So i started to work less and climb more. My brother took me to the bouldering gym for the first time, where I made my first attempt in climbing with my sister. Through Bernd Zangerl (no relation) and Didi Siegl, I had to experience climbing on rocks. At this time I was spending a lot of time in various bouldering areas, like, for example the Rocklands, Ticino, Magic Wood, Silvretta. When it comes to climbing, I think this is surely what has defined me the most. 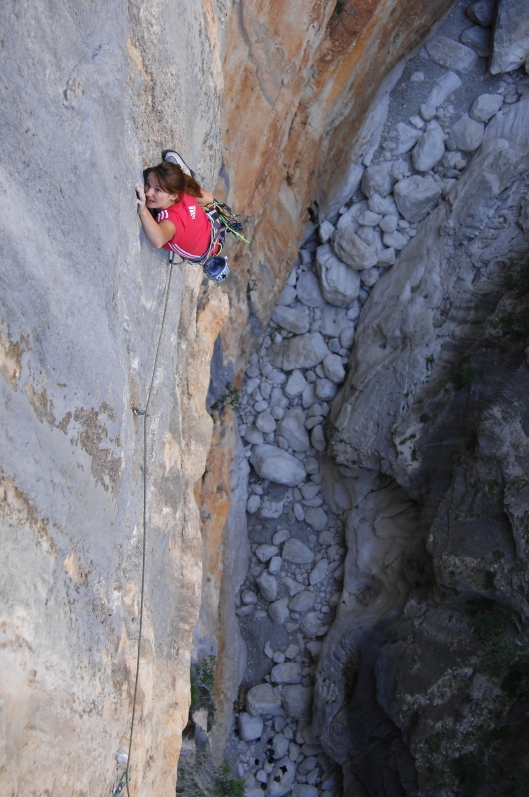 I had really good teachers and my climbing start begun with a playful way. The next key moment, was my back injury, which made me change my attitude towards climbing a bit, and I can’t imagine focusing on bouldering only, the way I used to. At the moment, and of course because of changing my focus from bouldering to climbing with rope, I can see the whole thing in a bigger perspective. For me it is very important to try a lot of different styles of climbing. This keeps my motivation high. In summer I like it most to start early in the morning try somewherer a alpine multipitch route. Hanging the whole day in the wall and trying hard to get further. 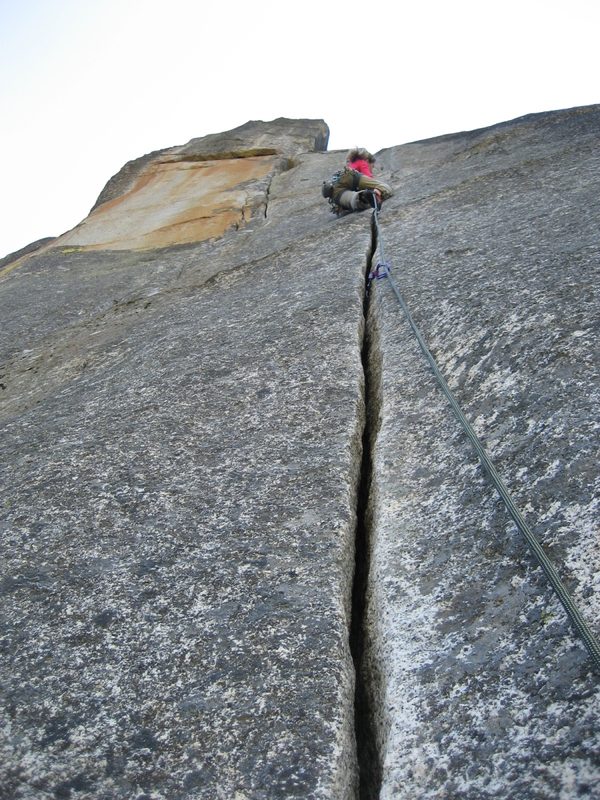 Then I like the contrast to try also crack climbing. It ist he completely different. At the beginning it is super painful and it is all about fighting. For me it was like lerning a new sport…I had to start on a really low level. But this is the interesting point to learn something new. Or sometimes I am super motivated to try a tradroute which also feels often impossible to me. 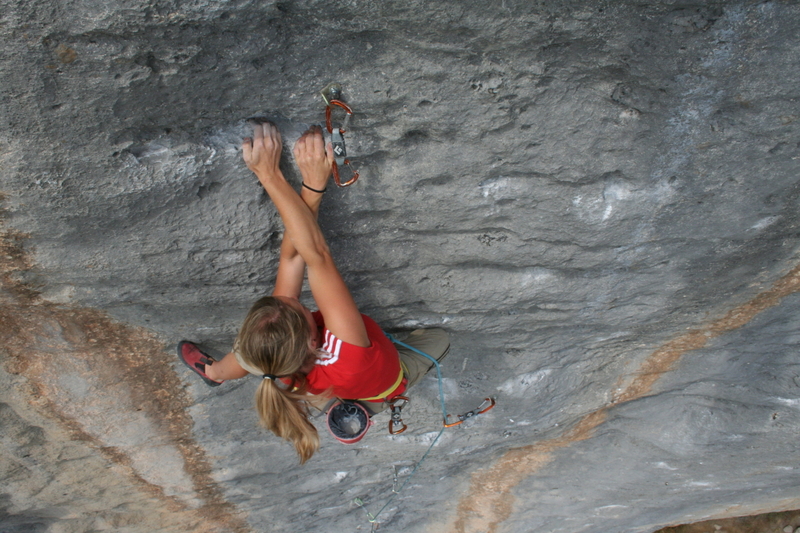 Overcome the fear…stay concentrated on climbing and don’t think too much about the risk or falling. Or enjoy the simple way of climbing while go bouldering or sportclimbing. The full baggage what climbing offers you thats important to me. In combination with travelling meeting people discovering other cultures. I am thankful and happy that i can live this life. It is super colorful and so different to the routine life many people have. 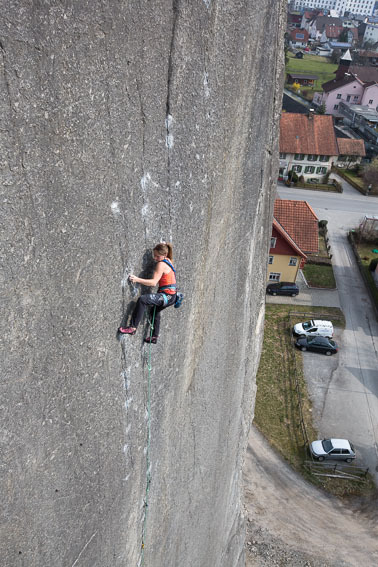 First female ascent of the Alpine Trilogy (three multipitch routes, all opened in 1994, all three are graded 8b+, the walls are between 150m-350m—1994 these three routes counted to the hardest in the alps—the routes are called Silbergeier (CH), End of Silence (DE) and Kaisers neue Kleider (AUT)). 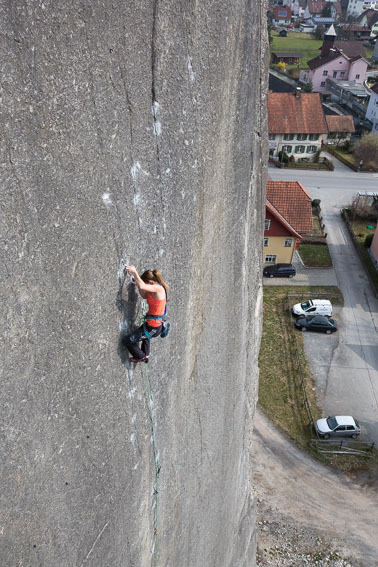 First female ascent of the trad climb “Prinzip Hoffnung 8b+ E9-10” in Bürs, Vorarlberg (AUT) —in this route I had the first fall into a micro nut. It was the scariest route I climbed yet. Climbing is very strength-based, you need finger strengh for holding small holds, the mental aspect is also very important—sometimes it takes you a long time to resolve single moves or find solutions for hard passages in the routes, physical aspect—-it’s important to have a good power in relation to your bodyweight. You need also technic. For long pumpy routes you need endurance. 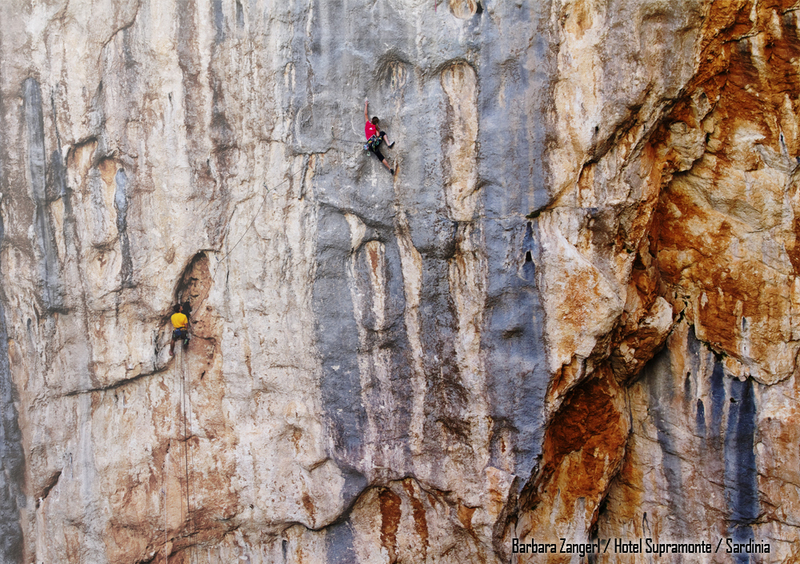 For trad routes or alpine routes it is good to have mental strengh–they are sometimes really scary. You often risk a loooong fall and sometimes it is better not to fall. Not the best about our sport is to reach the goals…For sure it is a high point what makes you satisfied. But for me the most satisfying part is the way to this high point. When you resolve problems, when you get closer to your goal. Sometimes when you start trying a project, a route—you don’t know if you will succeed in it or not. So every single day brings you a little bit further. 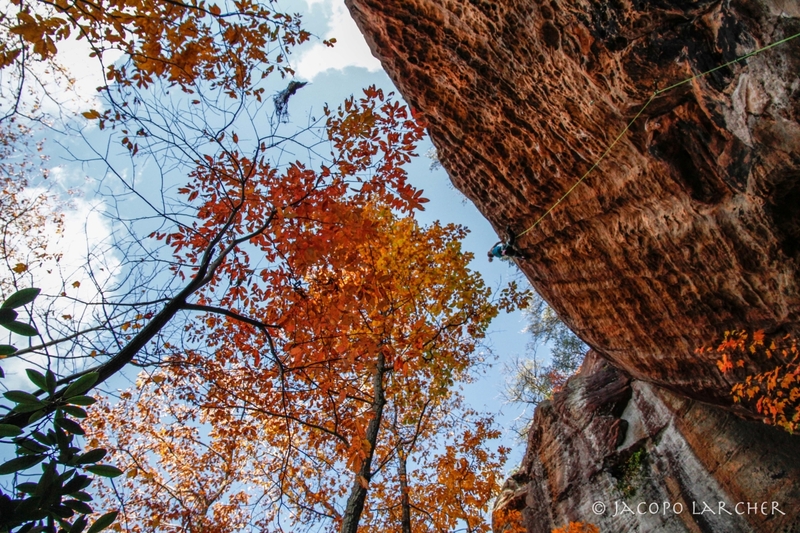 Those are the best days in climbing. Or when you are scared in a route and you think you can’t overcome this fear….and finally you are able to manage a situation like this. That are really cool moments in climbing. It’s all about the progress and the fun and motivation while you are doing it. I live in Austria—in Vorarlberg. 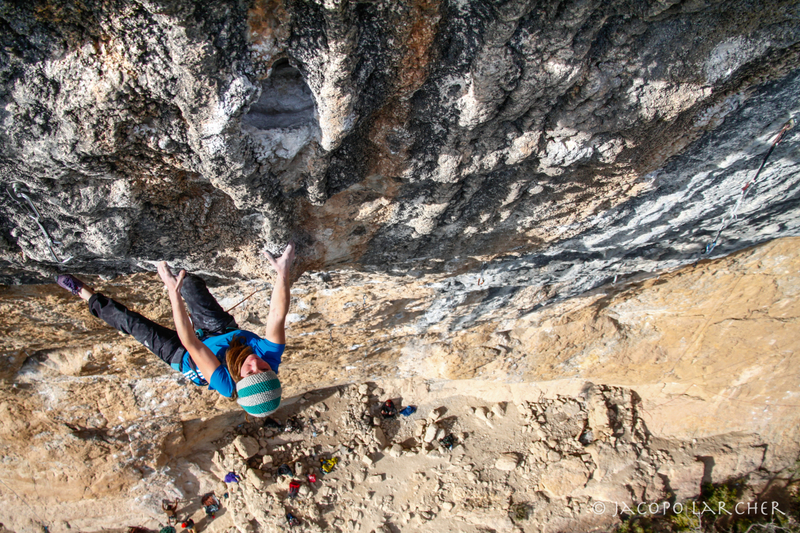 There are so many cool climbing crags for sportclimbing or multipitch climbing. We also have some gyms where we can train in winter. When I am alone I normally go bouldering in a crag near my home or in the bouldering gym. The key for me is to keep the motivation high for climbing all the time. It’s important to me to do all kinds of climbing. Alpine climbing, sportclimbing, crack-climbing, bouldering, tradclimbing….this is for me the best to keep my motivation high. I also train in the gym during the winter and when it is getting warmer I train directly on the rock—when I have different projects. I always focus more on rock climbing. Sometimes it is good to be disturbed….and don’t give up too early. 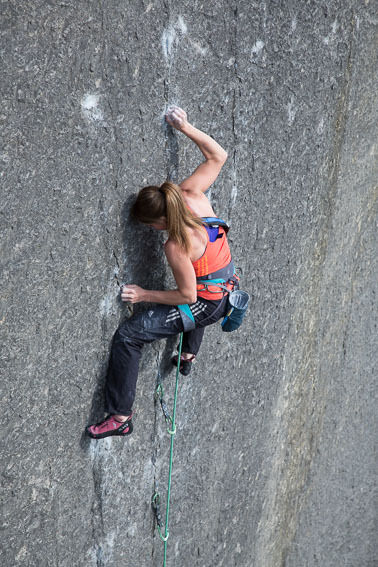 Keep on climbing….I want to find a lot of more cool adventures….walls which inspire me, motivate me to climb. More Challenge, more travels to places I have never been before. I really want to go to Madagascar to climb the big walls there. Or I would be also very motivated to go once for a bigger expedition—to open somewhere a new route. Don’t give up too early when something feels impossible to you. Enjoy climbing and have fun! !